Prominent & Leading Manufacturer from Surat, we offer plastic timtom boxes series, plastic laddu box, plastic sweet box and son papdi plastic box. 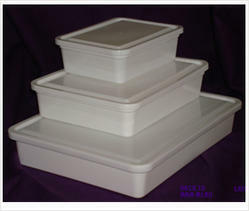 Being a customer focused organization; we are engaged in manufacturing, supplying and wholesaling Plastic Sweet Boxes. Precisely designed, these boxes are provided to customers in different sizes, material and designs at reasonable prices. Moreover, our offered boxes can be customized as per the specifications laid down by the patrons. Prices are vary according to sizes , design and also depend upon the market fluctuation . 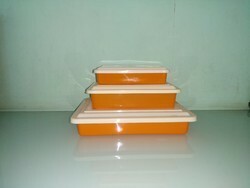 We are engaged in manufacturing of plastic packaging and disposable product. From the very first day of our inception, we have been successfully manufacturing, supplying and wholesaling Printed Glass. Used to serve cold drinks and juices, these glasses are widely used in restaurants, food joints, hotels, canteens and dhabas. Our offered glasses are available in different sizes, prints, designs and material at reasonable prices. We cater only bulk quantities only. From the very first day of our inception, we have been successfully manufacturing, supplying and wholesaling Printed Glass. Used to serve cold drinks and juices, these glasses are widely used in restaurants, food joints, hotels, canteens and dhabas. Our offered glasses are available in different sizes, prints, designs and material at reasonable prices. Prices are vary according to sizes , design and also depend upon the market fluctuation Size 250gm, 500gm, 1000gm. 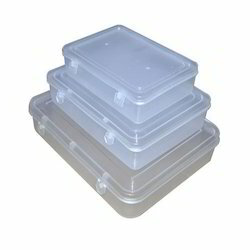 Looking for Plastic Sweet Boxes ?